Alder Creek is the place for middle-schoolers! It is where students thrive emotionally, socially and academically. This is evident from our school-wide acknowledgment from the state and nation as an award winning school, A School to Watch. We are incredibly excited about the upcoming school year, and our faculty and staff are busy preparing for an exciting year of learning and growth. As a community, we will embrace our scholars by celebrating what is right in the world and our school, and we will be our best for our scholars and our world! At ACMS, the school year starts with every scholar setting goals and expectations. We challenge every middle school student to reach high academic standards. The activity is called “Believe It and You Will See It!” These goals and expectations are actively monitored by students, teachers, parents, counselors, and administrators throughout the school year so students have a voice in their learning and continue to be motivated to do as well as they possibly can. Our scholars experience a rigorous and relevant curriculum including acceleration in math, Next Generation Science Standards, three years of articulated writing, and social studies. We teach students lifelong skills that foster high-level thinking, with regular opportunities to synthesize, analyze, and critique. Project-based learning has transformed our classrooms into engaging environments in which students apply concepts to real world problems. We create opportunities that are especially appropriate for middle school students so that they can develop a sense of purpose and stay actively engaged in learning. Student learning extends to unique outdoor education opportunities. Thanks to Measure A and parent donations all sixth-graders attend a week-long residential outdoor education program called Shady Creek. This program supports our student’s educational experiences by providing hands-on, active learning. When our children have the opportunity to explore outside of the typical four walls of a classroom not only do they learn through hands-on experiences but they also grow emotionally and socially and become environmental stewards. Our seventh-graders spend a day engaged in team building and developing community with each other at Granlibakken’s Tree Top Adventure Park. Students build trust and begin to understand how the brain responds to fear and challenges. The team building skills students practice during the field trip support the group oriented tasks that seventh-grade students are learning to use in the classroom. 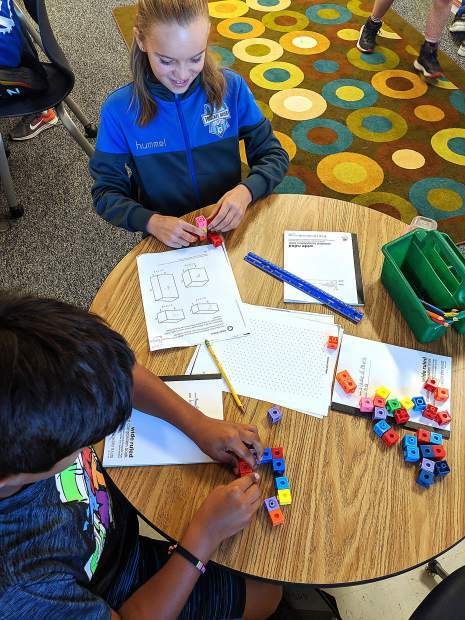 When faced with a challenge or problem, students are better able to strategize together to find a solution. It is important that every student feels welcome and connected to others during the crucial years of early adolescence, and ACMS staff is committed to ensuring that all students feel safe, secure, and well-known at school. To address character education and bullying, Second Step and Let’s Get Real are part of our curriculum. The goals of these programs are to decrease aggression, violence, bullying and substance abuse and to increase social, emotional, and school success. We enlist parents, students and teachers to understand the teenage brain and use the language of empathy and compassion at school and home. I am proud of the educational options we offer at our school as they truly recognize and address the diverse needs of students. These options include Band, GATE, Robotics, Coding, Socratic seminars, Renaissance, Odyssey of the Mind, art, foreign language, yearbook, leadership, lifelong fitness, outdoor education and more. Our student council promotes activities to keep all students involved, including Spirit Week, School Olympics, and dances. We actively engage parents as partners in recognizing the implications of the significant changes affecting middle school children. At this stage in an adolescent’s life, parent and teacher interaction is especially important. Please feel free to share your ideas and suggestions with us, as together we create a learning environment that continues to strive for excellence and always puts the needs of our scholars first. With your voice and support, Alder Creek Middle School will continue to be an awesome place to learn for all middle-schoolers! 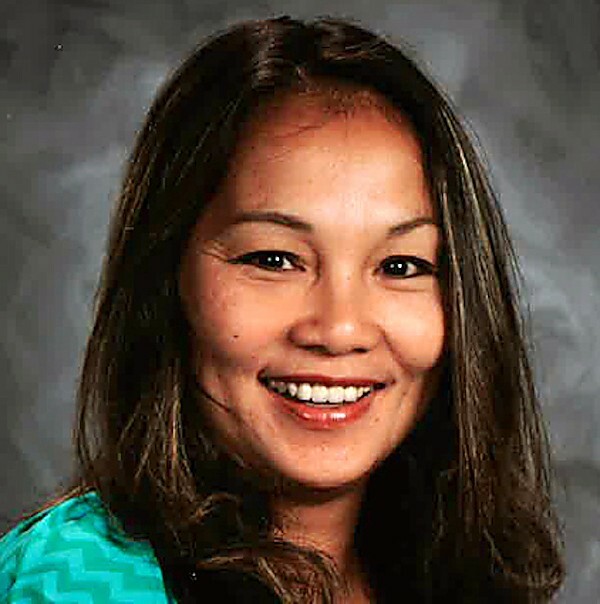 Hien Larson os principal of Alder Creek Middle School. Visit ttusd.org to learn more.